One of the top benefits of playing casino games on the Internet is the large variety of games that are available to play. 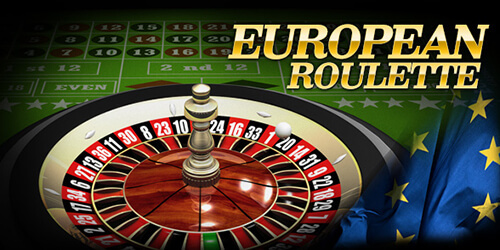 European Roulette is one of the many varieties that is available to players in South Africa. Online roulette is one of the most popular real casino games. It is regarded as the standard. Well, it is the standard in Africa and the rest of the world. But in the USA it is a totally different story. The reason for the difference is that the game was born in 18th century France but it soon crossed the Atlantic Ocean. The Americans had to come up with their own standard which is different from everyone else’s. But online casinos made both versions and many more popular. The top feature that makes European roulette different from all the other games is that it allows players to perform call bets. The other thing is that it allows players to bet on up to 8 neighbouring positions at the same time. And of course, you can play the game from the comfort of your house. Playing casinos games online is usually easy. This is regardless of where you are as long you have good internet connection. However, playing European roulette is exceptionally easy. After finding an online casino that has the game and a gaming environment that you like, open the game. When the game is open, players will have to place their bets. When betting is done, the spinning wheel and ball will determine whether you win or lose. Only real money bets will give real rewards if the bet wins. There are basically two types of bets that players can place when playing European roulette. These are inside bets and outside bets. These are bets that are placed on the betting table. They include bets on a single number which is known as a Single bet. This is the bet that has the largest payout in the game. The odds paid for this bet are 35:1. All other inside bets reduce in pay out size as the number of numbers player bets on increases. Players can bet also bet on 2, 3, 4 or 8 numbers as inside bets. Outside bets get their name from the fact that the bets are placed on the outer areas of the betting table. There are common bets such as the Dozen bet, Column bet and Snake bet. And then there are other bets which have French names just to add that exotic feel. The outside bets pay 2:1 at most and 1:1 at the least. Learn about online roulette in South Africa with Casino ZA.